Admittedly, five years ago today I was not one of the many, many people who tuned into the Royal Wedding between Prince William and Kate Middleton. It's something I very much regret, but thankfully, William and Kate's wedding video is available online, which is a great way to celebrate their five-year anniversary. Whew! The only downside? It's over three hours long. When am I going to find three hours to spare to watch their nuptials? I can barely keep up with what's on my DVR. Still, for those who are in desperate need of a rewatch — or for first-time viewers, like myself — you can now sit down with a bottle of wine or a case of beer (whichever you prefer) and indulge in the love between William and Kate. Warning: You will swoon — hard. However, if you don't have the time, I've taken it upon myself to make gifs of the most important moments from the arrivals, ceremony, and the aftermath. You are so welcome. The below gif highlights provide the overall gist of the Duke and Duchess of Cambridge's special day. Also, the gifs are just as enjoyable as the entire video. That said, I encourage you to watch the video in its entirety, because it's something everyone should watch at least once. 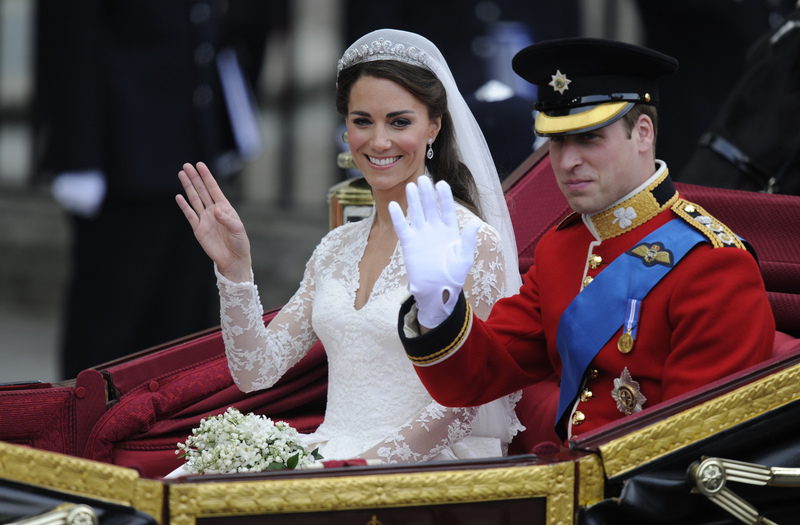 With that, allow me to take you down the memory lane of William and Kate's wedding day. Looking good, Becks and Posh. William and Harry's father has arrived. All hail, the queen — and her bright yellow attire. That's a lot of kids to walk down the aisle with. It's like Cinderella, but better.